AtmosphereWe aim to always make sure our patients are relaxed during every appointment. TeamOur team goes above and beyond to ensure your experiences are exceedingly positive. EmergenciesIn tooth pain? 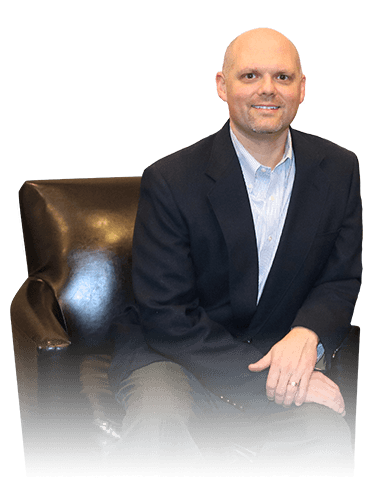 Call our practice right away and we will do our best to fit you in. WelcomeWe are an in-network provider with several plans and welcome all PPO insurance. & ModernQuality dentistry achieved through skill, experience, and the best technology. Your chosen dental practice should be a trustworthy and welcoming place, not an unpleasant obligation that you dread every six months. 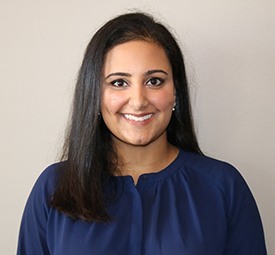 At Watermark Dental, Dr. Culley is proud to be continuing a longstanding tradition of excellent treatment, helping patients enjoy smiles that are aesthetic and functional for years to come. Along with his new associate Dr. Bhullar, he and the rest of our friendly team look forward to serving you in two convenient locations. 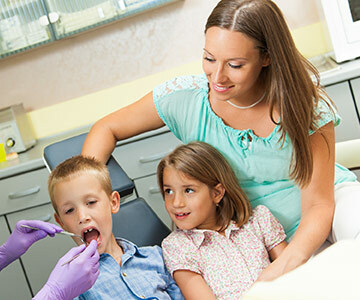 Balancing a big family’s needs can be hectic – so why not simplify everyone’s oral healthcare by bringing them all to the same great practice? Here in Grandview and Powell, we welcome patients of all ages, and our lengthy menu of services has something to help everyone’s smiles shine a little brighter. We’ll always start with comprehensive checkups and refreshing cleanings, and other preventive services are available to help treat any problems that crop up at their smallest stages possible. As effective as they may be, dark-colored brackets and wires aren’t for everyone. 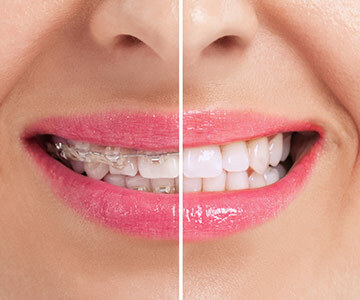 Thankfully, Invisalign is an alternative orthodontic option that just might be the right choice for image-conscious teenagers and adults in need of a straighter smile. Instead of the traditional model, you’ll receive clear aligners that are specifically designed for your mouth. Each aligner shifts teeth in a pleasing fashion, and you’ll still be able to show off a beautifully natural appearance throughout treatment. 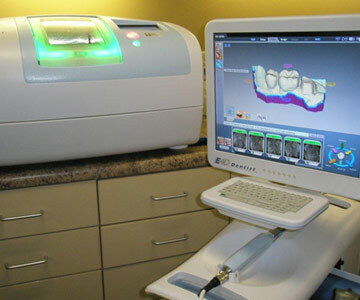 Instead of having to wait multiple appointments for your damaged or missing tooth to be corrected, our team at Watermark Dental can provide high-quality, personalized restorative work in record time with the state-of-the-art power of E4D. 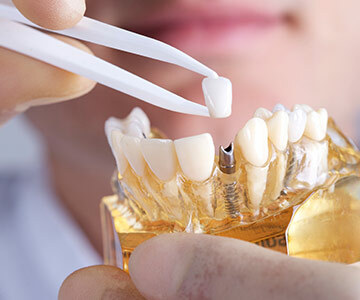 Now, there are no temporary restorations or uncomfortable physical impression materials to worry – you can lie back and relax as we enhance your smile’s strength and beauty right then and there with a permanent, tooth-colored dental crown you can rely on. Tooth loss can be a devastating event – but it doesn’t have to be a permanent one. Dental implants are a top-tier reconstructive solution, rebuilding gaps in your smile with strength and seamless beauty. They even help improve your oral health, and many cases last for 30 years, 40 years, or the rest of the patient’s life. At Watermark Dental, our doctors are happy to create gorgeous restorations for implants that have been designed with your unique appearance in mind. Do you constantly feel exhausted with no known cause? Has your physician just diagnosed you with sleep apnea? 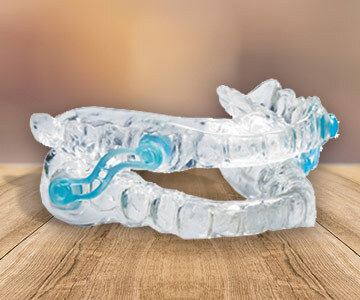 Or are you struggling to keep up with traditional CPAP treatment? Wherever you are in your journey towards finally being able to enjoy proper rest, consider turning towards the team at Watermark Dental for help. Dr. Culley can provide the ideal custom oral appliance that fits your mouth comfortably and helps prevent dangerous airway blockage. Being able to give back to our neighborhood and people in need whenever possible is important to our team at Watermark Dental. 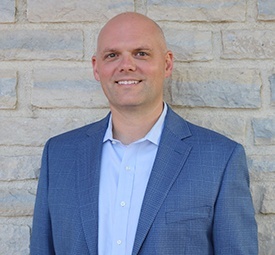 Dr. Culley is always looking for valuable opportunities to make a difference, and in the past, he’s traveled on mission trips to third world countries in order to donate his time and skill to those less fortunate. If you have an organization or a worthwhile cause that could benefit from our help, let us know! We’re all ears.